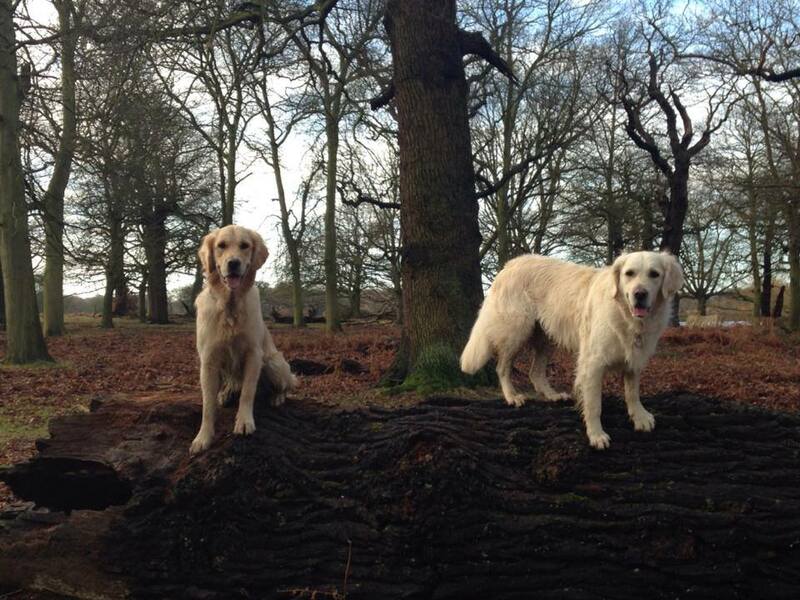 There’s only one town to be in when it comes to pet grooming and daycare … Dogtown, East Sheen! 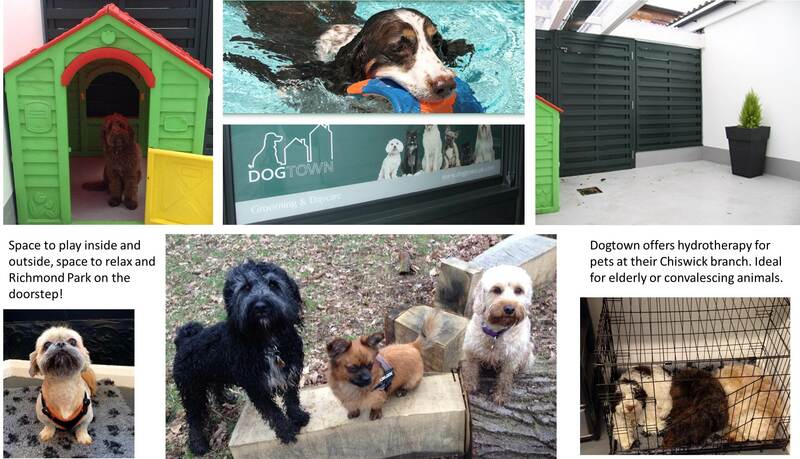 Lots of local four legged (and even one three legged) canines and their owners are discovering a new and very inviting grooming and daycare facility in the heart of East Sheen. 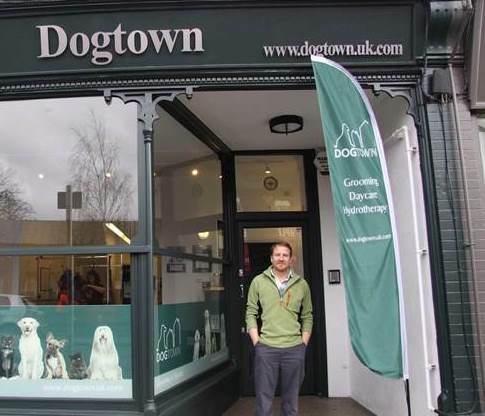 Just as many dogs have trouble walking past Sheen Pets without straining at the leash, a similar situation is arising at 121 Sheen Lane, the home of Dogtown. Formerly the Dog House, the premises have undergone a refurbishment and have been under new ownership since last September. 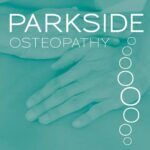 Andrew (top right) and partner Adam Gibbins (left), a qualified groomer and canine hydrotherapist, bring plenty of experience and a deeply ingrained love of animals with them. Owners of one of London’s few pet hydrotherapy and physiotherapy centres in Chiswick they also have two lovely cockerpoos, Martha and Duffy, who can usually be found at Dogtown. It is clear that Adam and Andrew believe in a professional approach at all levels, a reflection of their former business careers in other sectors. “We appreciate that success is within our control and that of our customers. 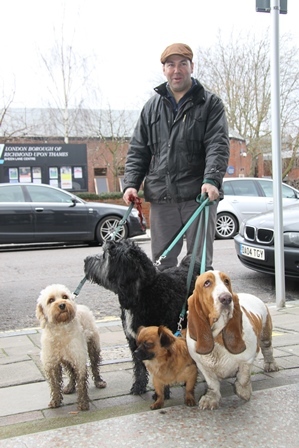 “ says Andrew, “That means that we need to do everything just right, from customer (and canine) service to licences, planning permission and setting prices – not only to ensure that we are competitive but also to ensure that Dogtown will be here for years to come,” says Andrew. Dogtown offers the full spectrum of grooming – from a drop-in nail trim to hand stripping, de-matting, bath brush and tidy to a traditional full groom. They use premium grooming products and owning two shops means that they can move staff between the two to meet demand. 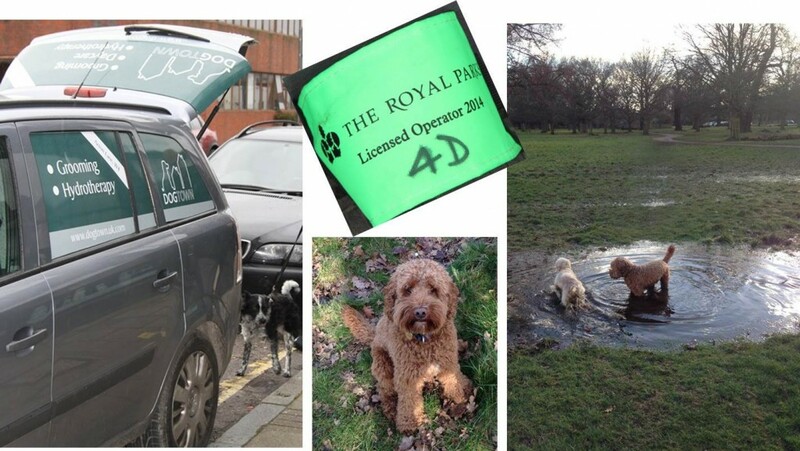 In compliance with the Royal Parks’ requirement, Andrew & Adam have acquired their Professional Dog Walking and Vehicle Licences, meaning that they can officially walk four dogs at one time. In order for the fun to start as soon as possible, Dogtown has a smartly branded vehicle to transport the dogs comfortably and safely. “We are really enjoying being in East Sheen and have had a great response from local pet owners and lots of interest in what we’re doing. Now we’re just looking forward to some rain and mud-free days!” added Andrew.